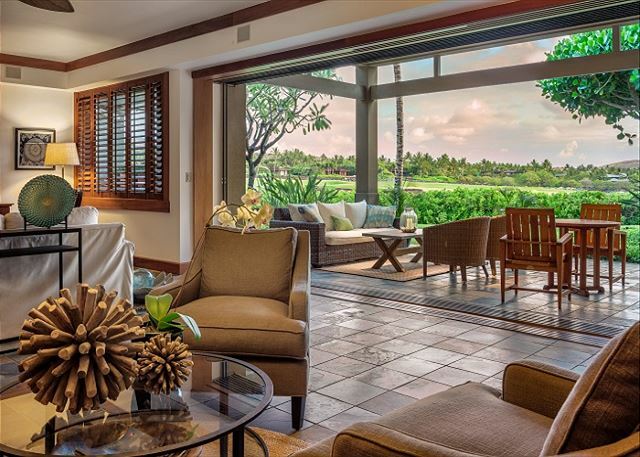 The beautifully furnished 3 bedroom Hualalai villa offers easy access to five star amenities as well offers the utmost luxury one could desire in a vacation rental. 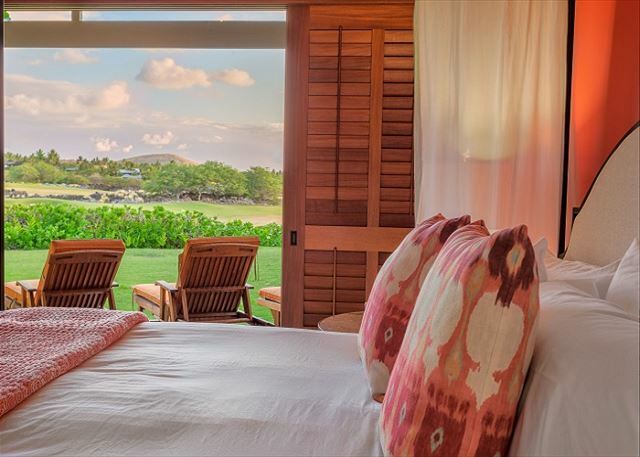 Hualalai Four Seasons Resort is consistently ranked as one of the world’s best resort properties. 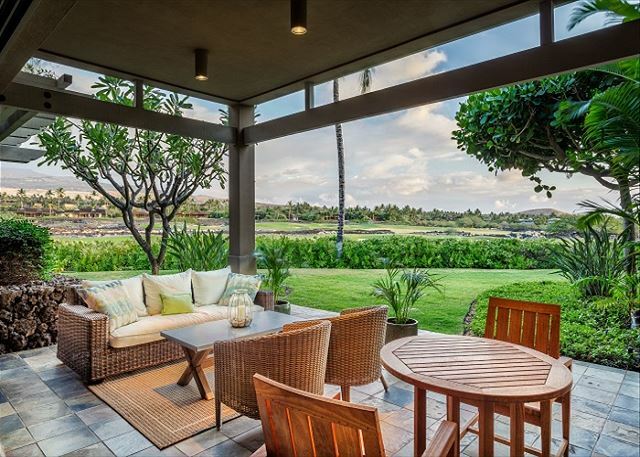 This villa affords you the opportunity to enjoy all Hualalai has to offer as well as the comfort of a 3 bedroom/3.5 bath fully equipped condominium. 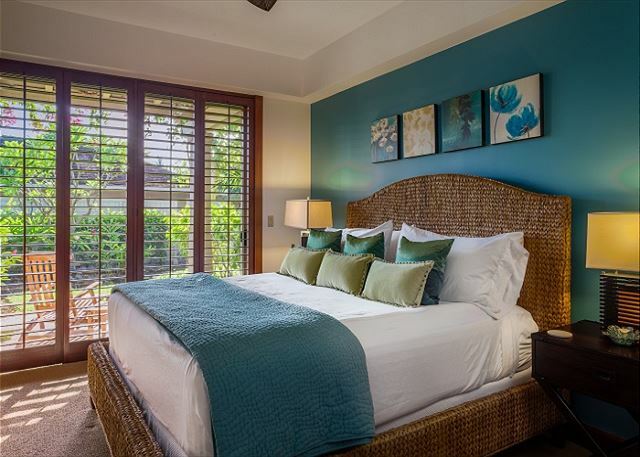 Completely refurnished and decorated Fall 2013, this Waiulu villa has a spacious, open central area for group enjoyment while also offering the privacy of well-placed bedrooms with connecting full baths and lanais. Surrounding this ground floor residence is lush, tropical landscaping maintained to the standards of this five star resort property. Entering the condominium from the private courtyard you will be astonished at the spaciousness of the great room. The kitchen offers ample space and is stocked with all essentials for your cooking needs. Granite counters, stainless steel appliances, and a wine cooler add to the ease and luxury. Small appliances and cookware are of a quality in keeping with this beautiful kitchen. Connecting to the kitchen is the laundry with a full size washer and dryer. The central living area has two distinct seating areas, allowing some to enjoy the new entertainment system with LCD TV/Blu-ray from the couch while others are reading or talking in comfortable chairs around the cocktail table. 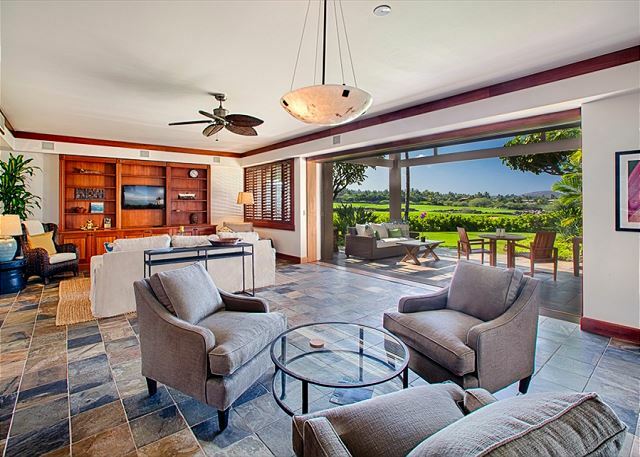 The sliding pocket doors retract completely to open the room to the spacious lanai. There you will find plush outdoor seating and a dining table to complement the outdoor kitchen with a stainless steel gas grill. From there you can walk out onto the grass to play or rest on teak lounge chairs to enjoy the sun. The master bedroom is very spacious. It has an entertainment system with LCD TV/Blu-ray, a resort quality King mattress and bedding, and a variety of pillows for the discriminating sleeper. The master bath offers a deep soaking tub and a large walk-in shower. 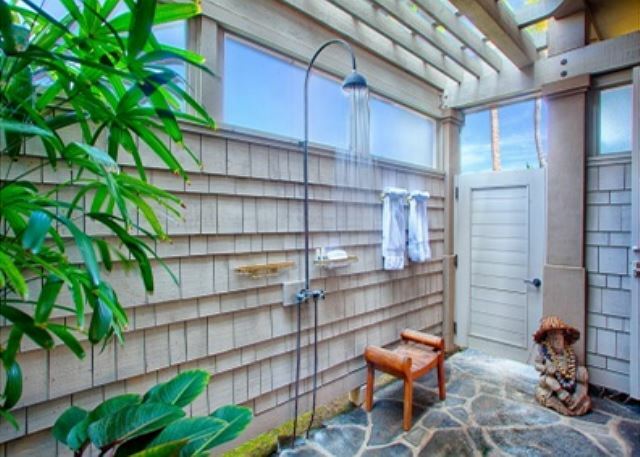 This accesses the outdoor shower in the privacy of a small, tropical garden. The guest bedrooms are amply sized and separately located near the entry to the villa with no shared walls. One bedroom has a king size bed with a resort-quality mattress while the other has two XL-twin beds with fabulous mattresses that can convert to a king. Both rooms have LCD TV/Blu-ray, connecting full baths, and private lanais with seating. And, of course, there are a variety of pillows. 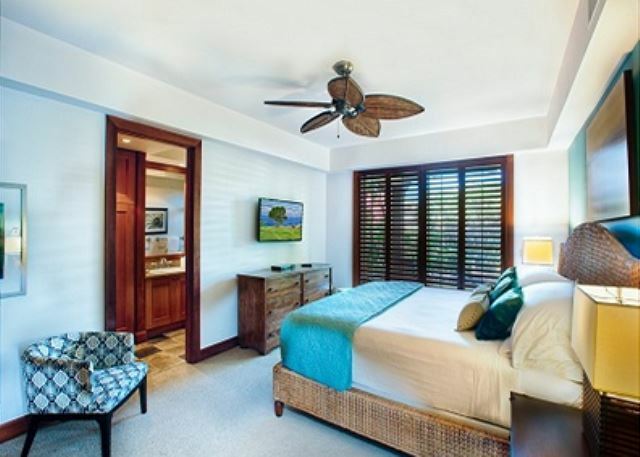 Other amenities include multi zone air-conditioning for ultimate comfort, wifi, computer and printer, housekeeping service, and the services of the Hualalai villas concierge who will meet you upon arrival and see to all of your needs. Most importantly you will have your own golf cart so that touring this amazing resort is both relaxing and fun. 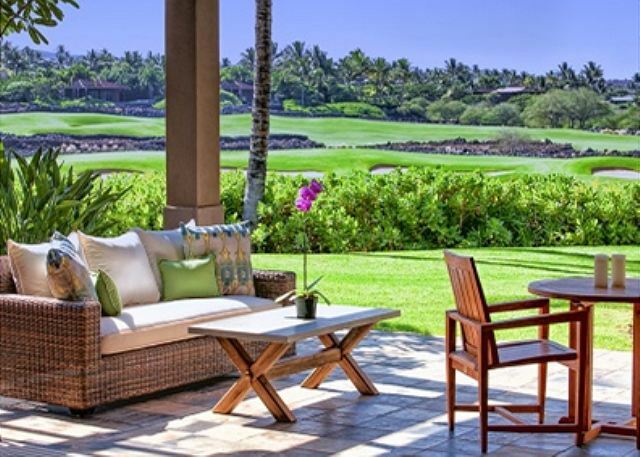 Hualalai Four Seasons Resort is truly unparalleled in all of Hawaii. 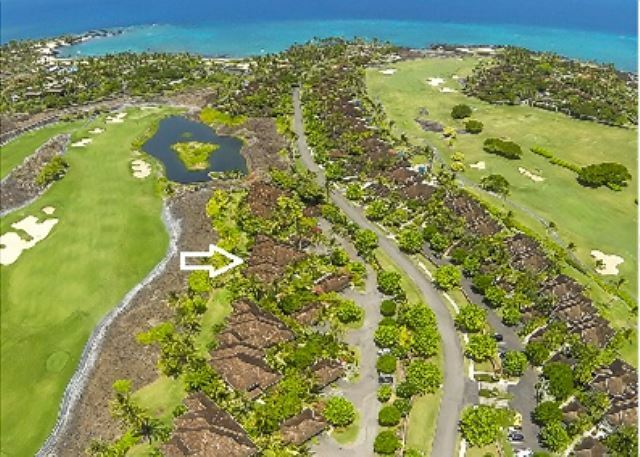 HUALALAI RESORT FEES: The resort fees are not included. Please contact the Club Concierge for more information. Our family had a perfect week at Villa 133. The location is beautiful and amenities are excellent. The place was very clean and management was attentive and easy to work with. The Hualalai resort is considered one of the top destinations for those looking for an ultimate island getaway on the Big Island of Hawaii. 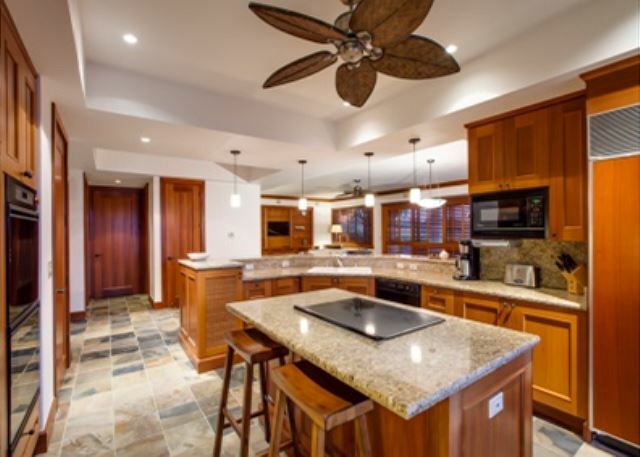 Waikoloa Vacation Rentals offers two premier villas in Hualalai, both with 3 bedrooms and 3.5 baths. 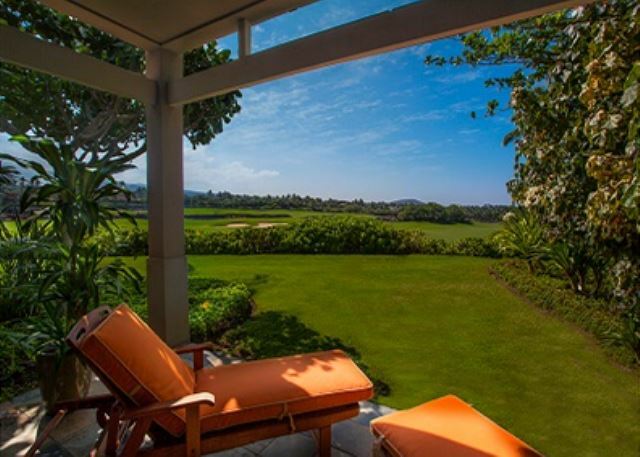 Each rental provides vacationers with the best beachfront views in Hualalai as well as the scenery of mountains, fairways, and breathtaking sunsets. 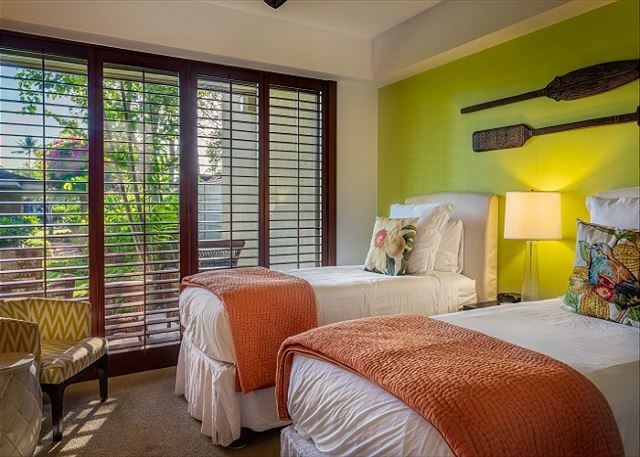 These Hualalai resorts also come with all the comforts of home, such as luxurious beds and sheets, in-house washers and dryers for laundry, a fully-equipped kitchen, and plenty of in-house entertainment, such as big screen televisions and grills for cooking on your lanai. 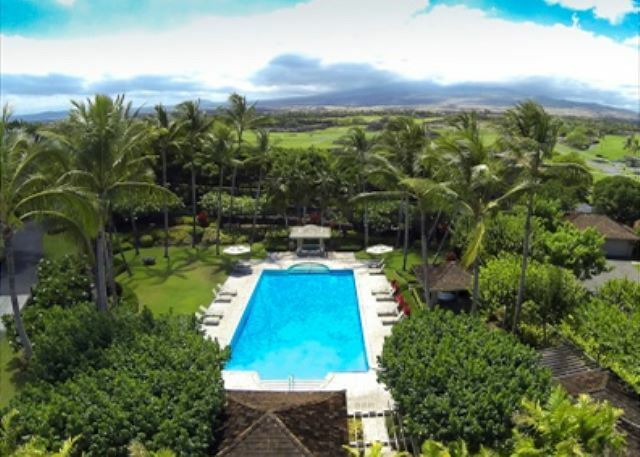 One of the reasons so many people want to stay at our Hualalai vacation rentals is because they are in close proximity to the many activities that make a Hawaiian vacation memorable. There are tennis and golfing clubs, spas, snorkeling, swimming, shopping, and even activities for families with children to do. 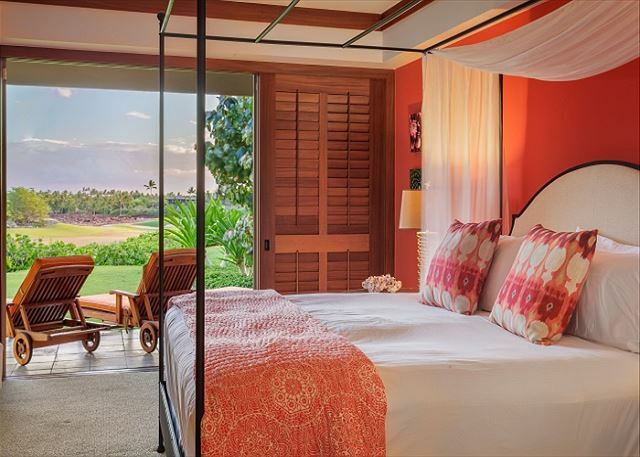 Hualalai can offer anyone a Hawaiian vacation experience tailored to their liking.